Boston’s been around forever, it seems – their first eponymous album debuted in 1976 and reached number 3 on the album charts, and subsequent albums only climbed higher. With the untimely death of lead singer Brian Delp in 2007, Boston underwent some changes, and to be honest, hearing them live in concert, they didn’t seem to have it anymore. 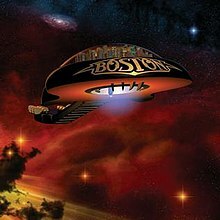 However, with the release of Life, Love, & Hope, their sixth album, Boston seems to have recovered: not quite the same, but with enough of the old magic to bring back the spark that gave them their identity. The same driving beats, the same luscious harmonies, but a little lighter, a little crisper, a little fresher to attract a new generation. For a band that’s been around almost 40 years, that’s a difficult – and truly wonderful – thing to do. If you want something new or are longing for some updated nostalgia, this is a great album to try. High Hopes bills itself as a rare, unreleased tracks album, which it may indeed be, but we’ve heard some of these before. It’s wonderful to hear a non-live version of 41 Shots, but the album doesn’t add any real surprises. There’s not a bad track on it, but nothing particularly stands out. If you love Springsteen (and there’s a lot to love), then this album will give you exactly that – more. Not better, not bad, just more quality music, a long encore to a fabulous concert from a musician who’s as strong as ever. They pronounce it “churches,” but I pronounce the V anyway. 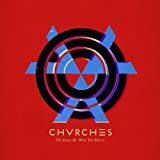 A synth-pop band from Scotland, Chvrches is a group that bridges a number of different music styles. 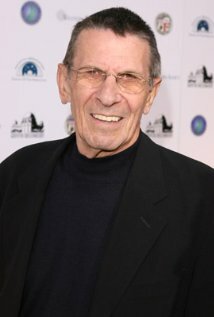 Like light modern popular radio music? This is a great album. Like a techno electronic sound with actual understandable lyrics to go with it? This is a great album. Miss some of the 80’s pop from bands like Human League or The Fixx, or the sweet sounds of Sixpence None the Richer? Then you will love this album. Light, joyful, and not overpowering, there’s a wide variety of song styles to keep you entertained. It’s been a long time since I found a new popular band that has caught my attention this much, and I hope to hear more from them in the future. Give them a try! Like Springsteen’s High Hopes, if you like Crosby, Stills, & Nash, you will probably enjoy David Crosby’s new album. Harking back to the band’s late-60’s melodies, this is more of the style you remember, an open, wandering melody with a touch of Eastern feel that could almost be filed under Jazz. Nothing jumps out and grabs you, it’s just a solid continuation of the old-style catalog.